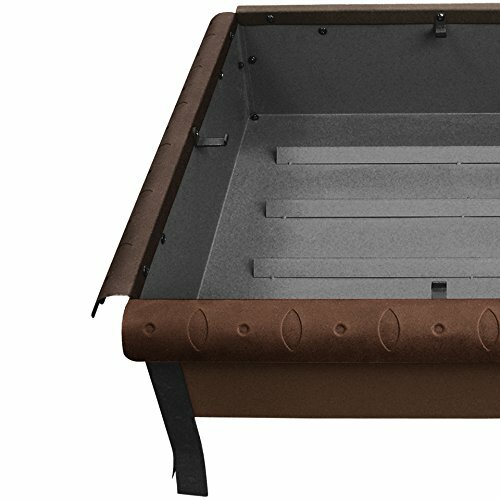 Your Landmann Tudor Fire Pit will help you make the most of your outdoor gatherings by spending time around a warm campfire with friends and family. The 24 x 24 in. 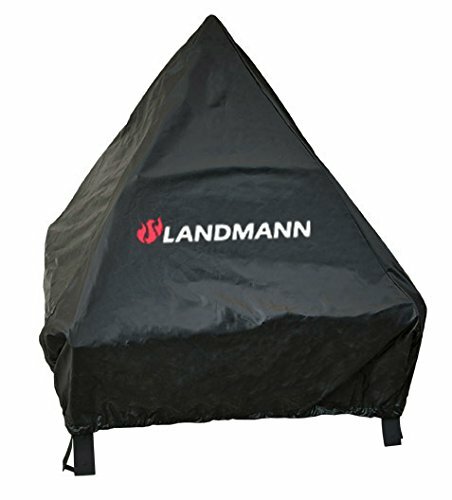 Landmann Fire Pit lets you have a fire safely and beautifully. Featuring an antique speckled bronze look and a Tudor style dome this fireplace recalls a time when fire was essential to life. 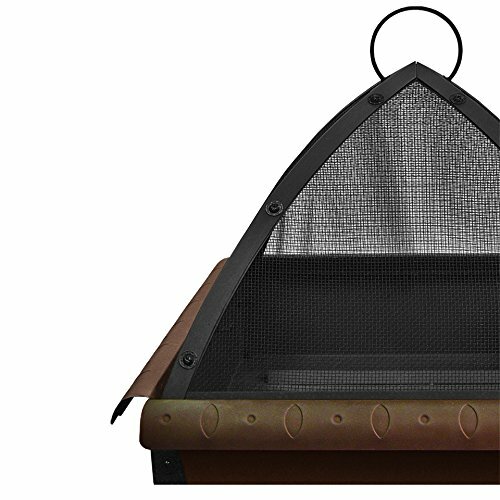 Your fire pit comes with the spark guard to keep embers under control and a fire poker to tend your fire. It also has a built-in wood grate in the fire bowl to promote good airflow for cleaner burning and easier starting. 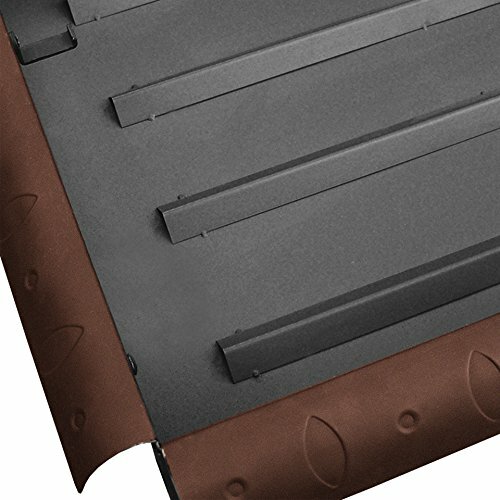 In between get-togethers protect your investment from the elements with the included free black cover. 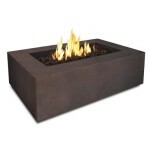 You will enjoy sitting around this 24 x 24 Landmann Fire Pit. Great for unwinding after a busy day or as a focal point to keep your gatherings going into the evening. A cozy addition to any backyard patio or deck, this contemporary styled 24-inch outdoor fire pit features a 360 degree view of the fire that create an incredible fire ambience at night. 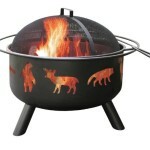 Sturdy, decorative four leg design construction with a large fire bowl and built in wood grate. Weighing less than 28 pounds, it is lightweight enough to take camping, the beach or vacation home. Included is a poker for stoking the fire and cover to protect from outside elements, giving a longer life. 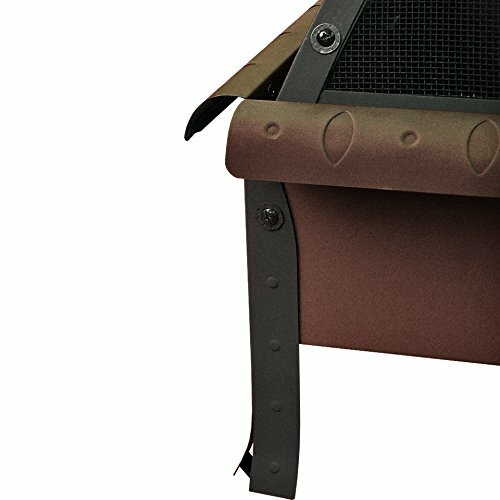 The Tudor style spark guard protects your guests from stray sparks while they enjoy the 360 degree view of the fire. 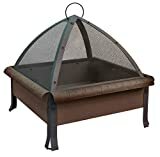 Firepit measures 27.6-inch in diameter and 29-inch high.